After 24 million streams and countless successful releases, MOUNT is emerging as a bonafide artist to watch. Out today via legendary dance music imprint Ultra Music, “Bend Before We Break” is your soundtrack for the weekend. 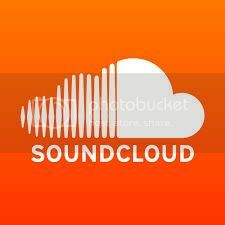 With remixes including Milky Chance’s “Unknown Song”, Jose Gonzales’ “Heartbeats,” Tom Odell’s “Here I Am,” and filous’ “How Hard I Try”, MOUNT has risen to prominence with a string of remixes catching the ears and hearts of fans around the world. Not to mention, the Austrian maestro amassed four Hype Machine top 5 spots in a matter of months. “Bend Before We Break” is the newest and most impressive work from this man, a hybrid arrangement ready for club and radio play, containing hints of acoustic elements and a silky vocal to delight existing and new fans alike. Beginning his music education at the age of 14, MOUNT taught himself to play the guitar. At the age of 21 he moved to Vienna and started to produce electronic music. MOUNT’s first original track “Something Good”, debuted at #10 on the Shazam UK Chart and has been streamed more than 14 million times since its release. It was also featured as the essential new tune on BBC Radio 1 by no one less than Pete Tong. Following a Hype Machine No.1 with first single “Utopia”, Pete Tong’s ‘Essential New Tune’ on BBC Radio 1, Digitalism unleash new track “Go Time”. Saying that Hamburg hailing Digitalism’s third album Mirage stems from “the ecstasy” of “epic trips around the globe” is no overstatement. 10 years of touring, creating and scouting inspiration have cut a path for the duo that sits somewhere between nostalgia and futurism. This comes to a head in the second single off the album, “Go Time”, further proof of their ever-increasing appetite for adventure. An indisputable pre-weekend anthem, it’s a huge track. Stemming from one simple loop, it evolved into “this huge stadium indie thing” as Jence and Isi put it. Leaving any stagnant competitors well behind them, Digitalism have tapped into that Thursday-night-feeling, yearning for a weekend yet to begin. This is the theme of the track: “Let’s get Friday out of the way”, chants a euphoric chorus, deliciously raw. Taking on this mantra, John Tejada and Mumbai Science have both delivered tasty remixes, with the latter creating an inescapably bouncy sound grounded in the youthful grit of “Go Time”. Taking wistful electronica to new heights, expect a contemporary indie twist that keeps hold of a good dose of synth-mania. The old school finesse of hits like “Zdarlight” and “Pogo” are evident in both “Go Time” and first single “Utopia”, with a decade of knowledge gained over a career full to the brim with both live and studio magic. “Go Time for us means ‘pressing the start button’ on your life and going for it” – and go for it they have. After a few years of doing everything from storming Coachella to a solid residency at London’s XOYO where they play live on April 28th, the album was whipped up in a cool 6 months, starting in February 2015. Its swift conception is clearly a reflection of their need to share this creative output with the world, and if “Go Time” is representative of the whole album, we should be just as eager to hear it as Digitalism were to make it. 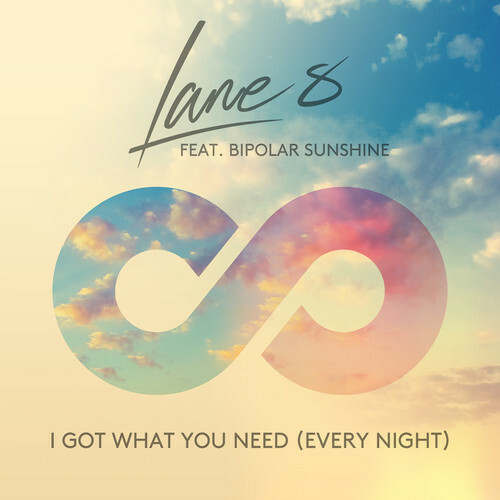 Ministry of Sound and Above & Beyond’s acclaimed melodic house label, Anjunadeep, have joined forces to release one of late summer’s hottest house anthems, Lane 8 featuring Bipolar Sunshine’s “I Got What You Need (Every Night)”. 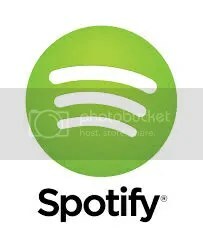 Zane Lowe gave the single its worldwide premiere on Radio 1 via a ‘Future Exclusive’, while to date; the original version of “Every Night” has hit the Beatport Deep House Top 10, and garnered approximately 500,000 plays on Soundcloud and 800,000 views on YouTube. Lane 8 aka Daniel Goldstein is the fast-rising US house producer championed by Pete Tong (who selected him as a ‘Future Star’ on Radio 1), Zane Lowe, MistaJam, B.Traits, Aeroplane, Tensnake, Kidnap Kid, Majestic Casual and many more. Originally from San Francisco, but currently residing in Leipzig, Germany, his debut single for Anjunadeep, “Be Mine” topped the Hype Machine chart, following previous success with cult label, French Express. Amongst his growing international fanbase is Eric Prydz, who recently chose him to remix his new single,”Liberate”. Further remixes for Above & Beyond and Josh Record have helped position Goldstein as one of the most promising young producers on the planet. Bipolar Sunshine aka Adio Marchant is the hotly-tipped Manchester singer whose music crosses hip-hop, indie, nu-soul, alt-rap, dance, psychedelia, electronic and Beatlesy pop. With 4 Hype Machine No.1s to date, he’s caught the ears of fans and critics alike including Radio 1, Sunday Times, The Guardian and beyond via the EPs “Aesthetics” (the lead track, “Rivers” was iTunes Single Of The Week) and “Drowning Butterflies”. A genuine star in the making, his extensive touring, including live shows at Glastonbury, Bestival, and beyond, plus support slots with London Grammar, Bastille and Lily Allen, have cemented his reputation yet further. In the new Goldfish video for “One Million Views”, the fish take a tongue in cheek look at DJ culture and it’s button pushing phenomenon. “One Million Views” is an amazing animated piece of art which was created by longtime Goldfish animator extraordinaire, Mike Scott. Filed under Awesome, video, Whoa! With 4 number one records, countless stellar remixes, a host of breath-taking videos and 3 non-stop world tours, 2011 will go down as Fedde Le Grand’s most productive and successful year to date! In saying that however, the Dutchman has still saved the very best for last – because his undeniably luscious remix of Coldplay’s stunning “Paradise” plucked straight from the forthcoming album Mylo Xyloto, is finally upon us! Already a huge fan of Coldplay, and having knocked up his own private edits of various masterpieces such as “Clocks” (yes, the whole world wanted that one), Fedde now officially steps up to the remix plate with what is an emotive, driving, goose-bump inducing masterpiece. Le Grand’s flawless production combined with Chris Martin’s impeccable ability to deliver the most renowned vocal make this Fedde Le Grand’s best work yet, fact! Having premiered on Pete Tong’s radio show on Friday 14th October and with full support from Coldplay over the weekend, “Paradise” gets it’s PRE-RELEASE today! “Paradise” is available on Toolroom Records and exclusively at Beatport. The record is not only set to be a hit at this year’s Amsterdam Dance Event, where Fedde performs at both the DJMag Top 100 party and his own Annual Takeover Event; it bears the all the hallmarks of becoming another world-wide blockbuster!